Home SPIRITS & LIQUEURS Cognac Cognac – perfect for summer! 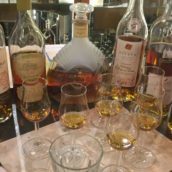 Last month, I finally got the chance to visit the Cognac region in France. My destination? Hine. 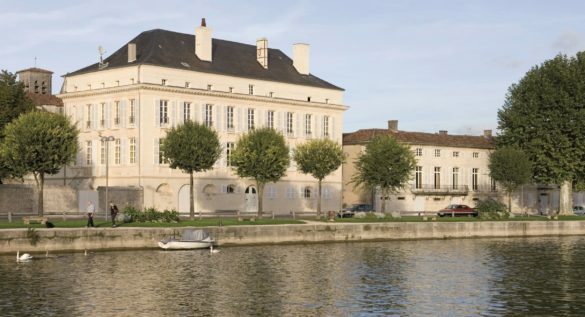 Although I’d seen pictures of this tiny part of south-west France before, nothing prepared me for the beauty of Jarnac, the smaller of the two main towns in the Cognac region. The Hine house and cellars sit next to the river, and with a clear sky, the views (both of the house and from it) were stunning. As we headed into the vineyards, many of the fields were filled with sunflowers, planted on the edges of the rows of vines to improve pollination and control pests and weeds. It was a picture of summer. Hine specialises in vintage Cognacs, something that’s rare in Cognac due to the red tape involved. 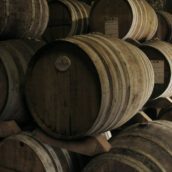 Any Cognac set aside to become a single vintage and to be aged for more than 20 years, is kept in a locked cellar: the producer has one key and the customs officer another – both have to be present to gain access. 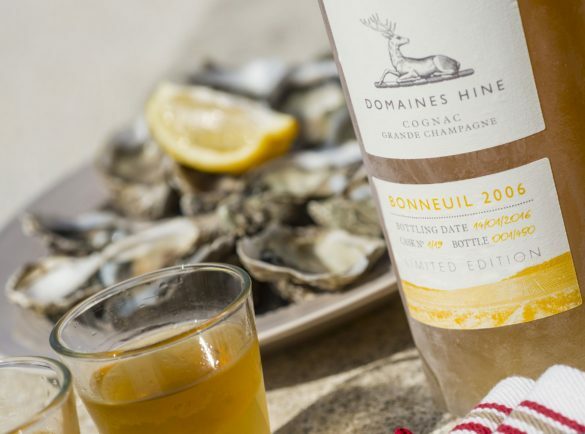 In 2014, Hine produced something new: Domaines Hine Bonneuil. Produced from a single estate in the eponymous village where Hine owns 80 hectares, it is bottled as a single vintage, meaning the style changes from year to year. We tried the 2005 against the 2006 and the difference was remarkable. The former was fruity and floral, while the latter was spicy – it shows that terroir isn’t everything, given that the grapes were grown in the same way and in the same place. 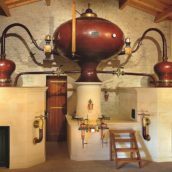 Cognac is traditionally thought of as a cold-weather, after-dinner drink, but the Cognaçaise are using their experience of drinking Cognac all year round to change this. Following our Bonneuil tasting, we headed to lunch where the starter was accompanied by a bottle of the 2006 served in an ice block straight from the freezer – it completely changed the flavour. The cold temperature had removed the overtly spicy element, and added a thick, almost oily texture, allowing the fruit to shine through. It also matched superbly with the oysters. At room temperature, the style of the 2006 wasn’t to my liking, but I loved it almost frozen. The moral of the story is, if you try a spirit and don’t like it neat, try it with ice, or with a mixer – you may find you like it served in a different way. We were treated to a cocktail masterclass at the newly opened bar Luciole in Cognac. 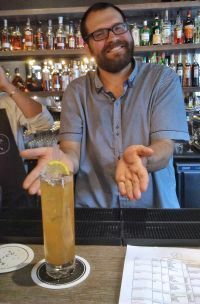 We were invited to make our favourite cocktail from the list (which meant my first time behind a professional bar) – I made the signature Firefly (or Luciole in French). The above is just one example of Cognac’s versatility. The Classic Champagne Cocktail is an easy serve – just soak a single sugar cube in Peychaud’s Bitters, pop into a Champagne flute, pour over 20ml of Cognac and top up with Champagne or other sparkling wine. You can also use Cognac to replace other spirits in classic cocktails – for example, instead of gin in a French 75 or whiskey in an Old Fashioned. Alternatively if you like long drinks, then simply mix with tonic or ginger ale/beer. One word of warning is that Cognac and lime’s acidity do not go together well, so use lemon (zest or juice) instead. Part of the fun with cocktails is experimenting, so have a go yourself, and let us know in the comments below if you invent something delicious.